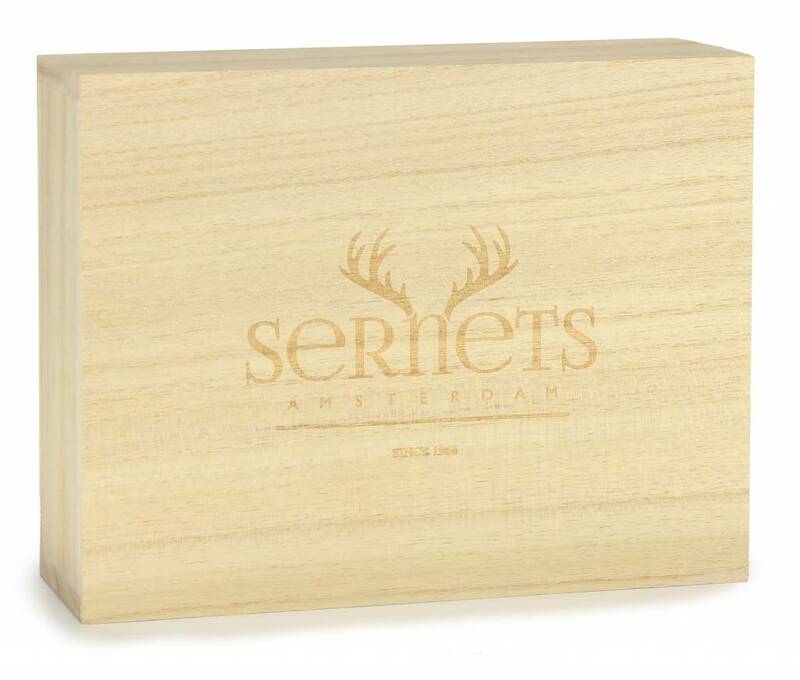 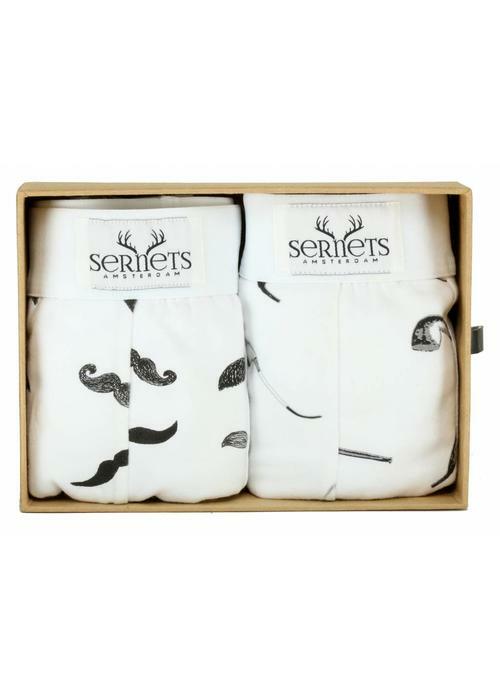 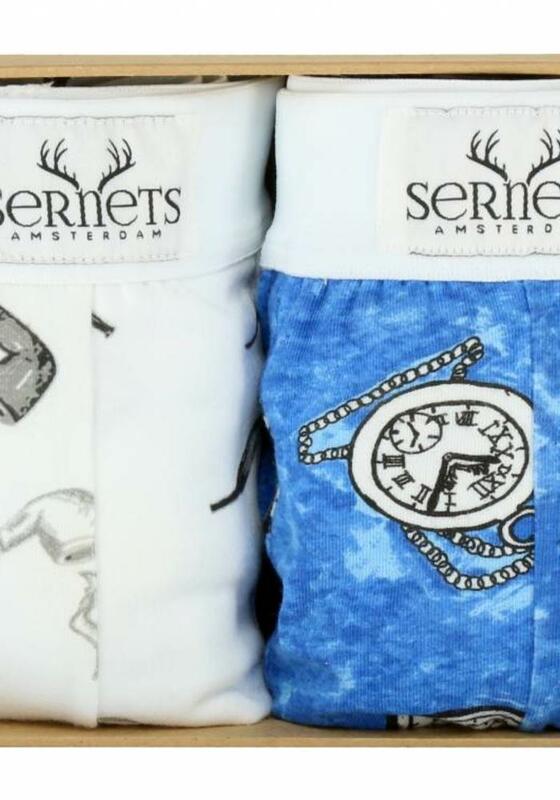 For the sophisticated boxershort-wearer: the Sernets Amsterdam giftset. 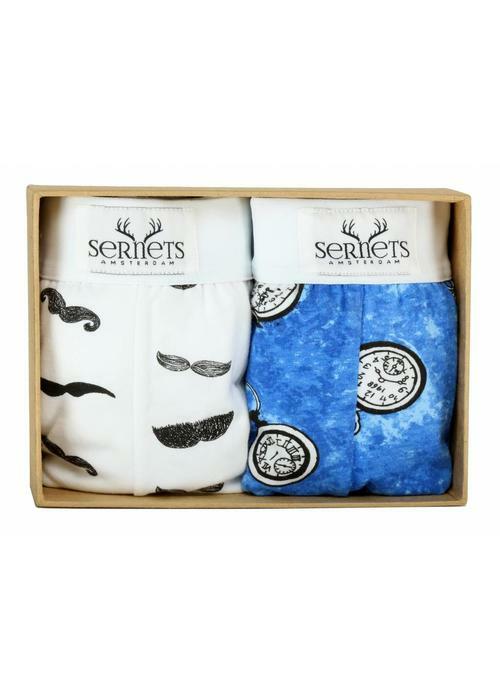 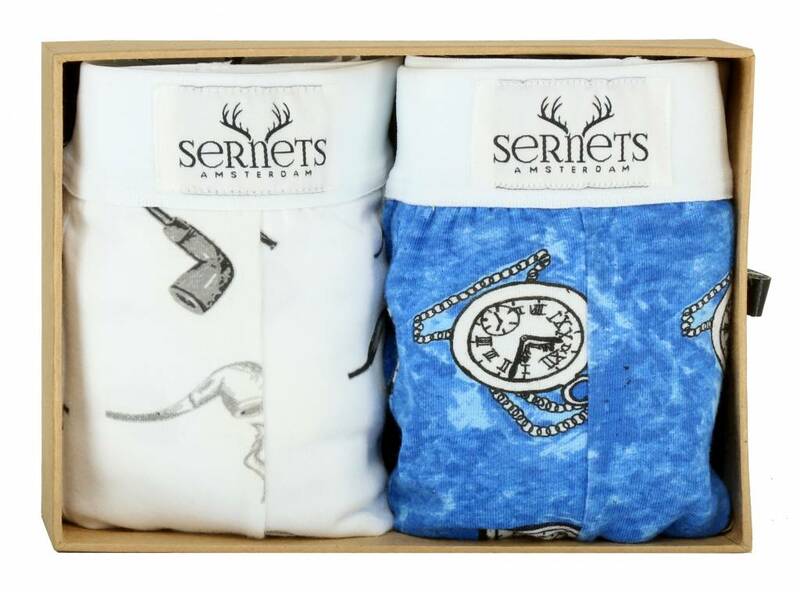 The set consists of two stylish boxershorts for men, a blue one with pocket watch print and a white boxer with pipe print. 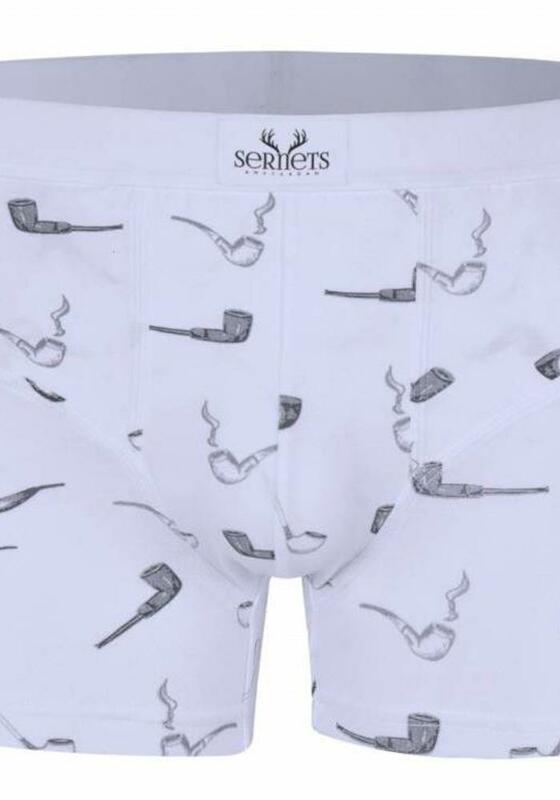 You can even hide some things in the secret inside pocket! 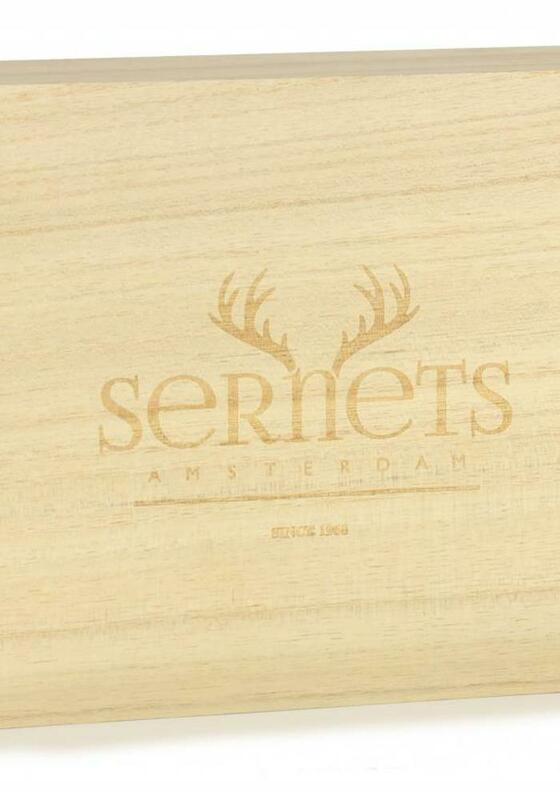 On the elastic band you will find the Sernets Amsterdam logo. 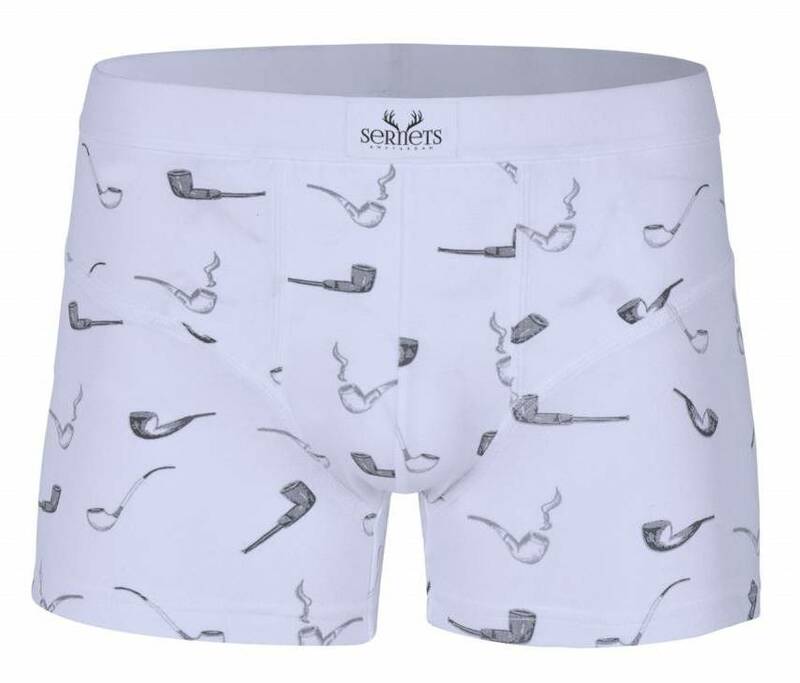 These boxershorts are slim-fitting.